We are delighted to offer you the Love Inspiration Usui Reiki Healing System in the hope that these energies can help to bring more love, light and healing into your life! All of these Usui Reiki healing practices are very simple and easy to learn and will be helping you connect with a beautiful range of 'Higher Consciousness' energies so that you can raise your love vibration and bring more healing, light and wellness into your life. Within the traditional Usui Reiki levels, our ebooks cover everything that you would normally cover in a live workshop or class format and include all the basic theoretical information as well as the all important practical aspects of Reiki. You will also receive all of the attunements to these levels as well as a very comprehensive set of ebooks & video tutorials to help explain everything you need to know at each step of the way! The Usui Reiki levels are practiced by millions of practitioners globally and we are very happy to be able to offer these healing courses here freely and with love. In addition to this, Love Inspiration is delighted to offer you the very expansive & deeply transformational energies of Advanced Usui Reiki and Usui Reiki Gold. The Advanced Usui Reiki Healing System has been received from a series of 'Higher Consciousness'. It has been developed, blessed and endorsed by both Dr Mikao Usui & Hawayo Takata and therefore offers a genuine extension to the Usui Reiki Healing System. The Usui Reiki Gold levels have now been added as an extension and expansion on the Advanced Usui Reiki levels and are therefore only available to those who have done a significant amount of ascension based healing work. Today, I will count my many blessings. Today, I will do my work honestly. Reiki can be described as a system of energy based healing which helps to raise your energetic vibration closer to love, light & peace. As a result of these energetic changes, people who receive Reiki on regular basis will often experience relief from a range of different ailments, whether they be physical, mental, emotional or spiritual. One of the most beautiful things about learning Reiki for yourself is that you become able to 'tap into' this universal source of life force energy so that you can clear away blockages and help yourself move towards long lasting health & happiness. We hope you enjoy our free teachings here and may they help you on your life's journey! The first level of Usui Reiki focuses mainly on the introductory aspects of Usui Reiki. This means that you will learn how to give hands on healing for yourself and others. Naturally, being the first level of learning, we will also be introducing the basic elements of Reiki such as a definition, history, origins as well as some of the basic principles which lie behind the hands on healing practices. All of this is the very important foundations which will help you move forwards into the higher levels. It is often said that level 1 can be quite physically detoxifying so whilst this course can be completed within 1 - 2 days, we also suggest that a simple daily practice be completed for a minimum of 21 days following your attunement i.e. to help you assimilate the new energies. We hope that you will enjoy these beautiful healing energies and may they help to bring you much happiness, joy and love! Having now learnt the basics of Usui Reiki and feeling comfortable with your hands on healing practices, as you feel ready, we invite you to receive these beautiful 'advanced healing' techniques. This level of Reiki is often said to help magnify your healing abilities by a multiple of four as you are being introduced to the idea of working with symbols, doing distance healing, sending Reiki to situations & goals as well as learning how to meditate very deeply with these new Reiki energies. The level 2 training can be completed within 1 - 2 days and again, to assimilate these new energies effectively into your consciousness, we suggest a minimum of 21 days practice be completed. During this time, you may find that your connection to the Reiki energies is strengthening as you open up to these new symbols & energies in your practices. We hope that you will enjoy these advanced healing techniques which can help you to bring about much healing & purification into your life! The Master Healing level of Usui Reiki will help you to understand some of the more deeper aspects of practising Usui Reiki, both from a theoretical perspective and a practical perspective. During this course, you will be again raising your energetic vibration as you open to the truly beautiful Reiki Master symbols and in addition to this, we will be providing you with a range of additional techniques & practices that can help you to now heal at a very deep & profound level. This course can again be completed very easily in around 1 - 2 days and we suggest that a minimum of 21 days self healing practices be completed to help you adjust to this new Reiki Master vibration. of healing & purification as you open up to these highly sophisticated & deeply healing energies. 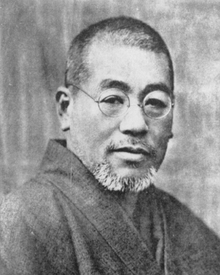 The Advanced Usui Reiki levels were received by Love Inspiration from a range of 'Higher Consciousness' and have been developed, blessed & endorsed by both Dr Mikao Usui and Hawayo Takata as continuation of the Usui Reiki lineages. These healing energies are a truly wonderful extension to the Usui Reiki system and can help to bring your Reiki practice to a whole new dimensional frequency of love & light! We are therefore delighted to offer these energies, attunements and healing practices here in this 'online format' and we invite you to open up to these energies for the infinite benefit of all. Why is it advantageous to continue to level 4? Why has Dr Mikao himself not brought through these levels? Why did Dr Mikao Usui only 'bring through' levels 1, 2 & 3? Why are these Reiki teachings offered for 'free'? These first three levels of Advanced Usui Reiki are available to anyone who has completed Usui Reiki level 3a or Usui Reiki level 3b (of any Usui Reiki lineage). These Advanced Usui Reiki levels will be providing you with a wonderful boost to your healing abilities as you are introduced to three very special healing symbols. As you open up to these beautiful new frequencies, you will also be taught a range of new healing techniques which can help you to become a more effective healing channel. These three levels are all learnt very easily with an attunement being required for each level of learning. You will also notice here that there are again some suggested timeframes being recommended in between each of the levels to allow for the necessary assimilation or energetic digestion of these new energies. We are very excited to offer you the first of these Advanced Usui Reiki levels in the hope that these healing energies will spread to wherever they are needed in this world! 'Usui Blue Thunder' & 'Usui Golden Dome' healing practices. As was explained to us by Higher Consciousness, the Usui Blue Thunder practices embody much of Dr Mikao Usui's own energetic frequency so we are very honoured to offer these energies to you here with love & light. The healing & purification being done here at this level is now reaching an important turning point as you are guided towards a very significant energetic transformation! And whilst there is again some necessary practice time & vibrational assimilation between these Advanced Usui Reiki Master levels, the teachings themselves are very easily learnt and are indeed very rewarding! As an Advanced Usui Reiki Master Teacher, you will now be receiving access to the all important Advanced Usui Reiki Master Teacher symbol as you learn how to combine all of the Usui Reiki and Advanced Usui Reiki frequencies into one very simple healing practice. You will also learn how to give the attunement for all of the Usui Reiki levels and the Advanced Usui Reiki levels. This course is perhaps one of the most purifying and rewarding of all of the Usui Reiki levels and will likely help you to have an array of new realisations and understandings in your life. There are many new energies and healing frequencies being introduced to you here in this Advanced Usui Reiki Master Teacher level; many new growth phases that can be opened up to here within a very short period of time. We are therefore delighted that we can offer these to you freely and with love! The Usui Reiki Gold energies are of a very significant and highly evolved vibration. They help to extend and expand on the Usui Reiki & Advanced Usui Reiki energies and are available to those who have completed The Ascension Pathway, The Ascended Pathway, The Crystal Pathway and Volume 1 of The Diamond Pathway. At this heightened vibration, the Usui Reiki Gold levels will be uplifting the Usui Reiki & Advanced Usui Reiki energies into The New Diamond Consciousness vibration so that practitioners at this level can continue to work with an elevated Usui Reiki practice for their continuing journey forwards. Having now completed the important pre-requsities prior to commencing this course, you are now ready to uplift the entire suite of Usui Reiki & Advanced Usui Reiki healing energies into The New Diamond Consciousness vibration through this first Usui Reiki Gold level - Diamond Reiki Gold. Being received over a period of 15 months, the Diamond Reiki Gold energies will be helping to build a very powerful and effective healing tool which will now encompass, encapsulate and uplift all of the Usui Reiki & Advanced Usui Reiki energies so that these can be called on through one very simple practice - Diamond Reiki Gold. 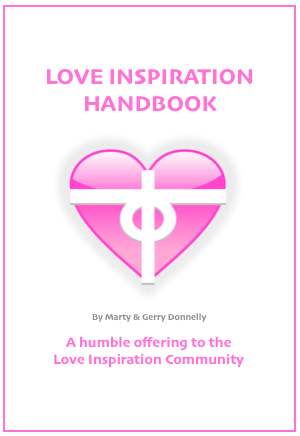 We hope you enjoy these truly profound teachings and may this divine healing tool help to bring much love, light and healing to the infinite all! At this final Usui Reiki Gold Master+ Level, you will be guided towards a deeper understanding of oneness and unity as you transcend the Usui Reiki frequencies and connect with the all encompassing Usui Reiki Gold Master+ frequencies. Here, you will be guided through much expansion as you connect with an entirely new spectrum of light, unity and purity. As an Usui Reiki Gold Master+ Practitioner, you will also be able to use these new energies to uplift all of your existing healing practices. As such, during the next 11 months, you will be able to expand, awaken and transcend the Usui Reiki healing system for the benefit of all. Once you have completed this final level of Usui Reiki, these new energies will be very beneficial for your continuing Ascension Pathway as you continue to blossom, expand and awaken to higher states of love, peace and understanding.